TNM Super League teams are regrouping in preparation for the 2019 football season, which officially kicks off on March 30 with the Chifundo Charity Shield. This comes after almost two months of rest, which is necessary to help players recharge for a new season. Random checks with several top flight clubs confirm that most are regrouping this week, with others planning to return next week. Mzuni FC commence their pre-season preparations today after major doubts on the future of the team. The doubts originate from University Council’s recent decision to stop supporting non-student players for the team. Published and Printed by Blantyre Newspapers Limited, Private Bag 39, Blantyre. Tel. : 01 871 181/070/563 Fax: 01 871 233. www.times.mw, E-mail: dailytimes@bnltimes season. Harawa said the Green Intellectuals are eyeing seven players to beef up their squad, with seven others set to be offloaded. “Since we are still waiting for the University Council to reverse its decision [of suspending sponsorship for non-student players], we have thought it wise to embark on preparations to catch up with the football calendar. We will start with student players from the campus, then the rest will join us next week because they still have contracts,” Harawa said. Be Forward Wanderers are also scheduled to start training today at Kamuzu Stadium in Blantyre. Wanderers Chairperson, Gift Mkandawire, said the preparations would help the team to be in good shape for the season’s first competition, the Charity Shield. Mkandawire said the club would use the first training session to welcome new members of the family. “We went out on the market to buy several players to replace those who are no longer with us. We also conducted trials for players who wanted to join us out of their own will. So, we will be welcoming these players to the training ground,” he said. Some of the Nomads’ new catches are Babatunde Adepoju, Francis Mkonda and Peter Kasonga, whereas Joseph Kamwendo, Yamikani Chester and Precious Sambani are no longer with the club. 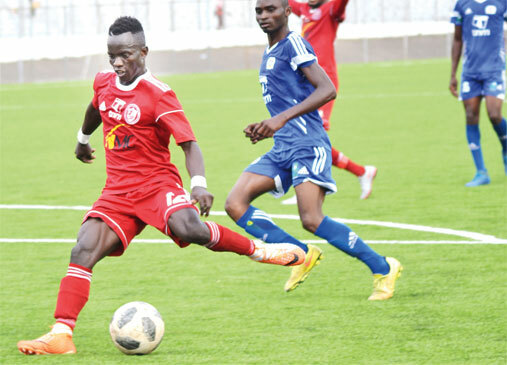 Nyasa Big Bullets regrouped Monday at Blantyre Sports Club, with Mighty Tigers expecting to return to the training ground on February 18. But, while some clubs are back to the pitch, there is uncertainty in other camps such as Masters Security whose Coach Abas Makawa said a date was yet to be set. Silver Strikers are also yet to put their house in order, with no executive committee in place to drive the team’s agenda.